Ample room for those heavy note-takers. 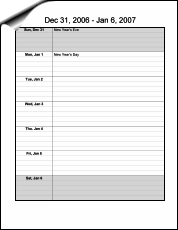 A standard monthly calendar with lined boxes to store your notes. 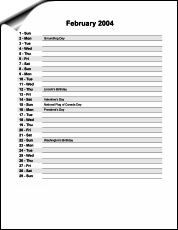 A monthly calendar with lined boxes to store your notes. 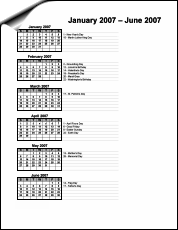 A yearly calendar containing room to write down important dates. 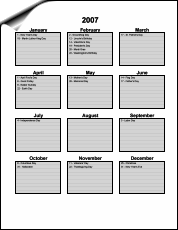 Track the next six months with plenty of room for notes. 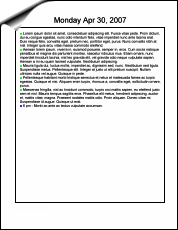 Room for plenty of notes alongside three months. 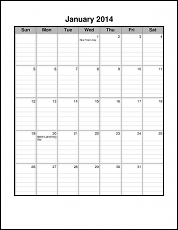 A monthly calendar with lines within and beside. 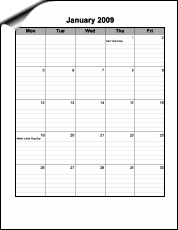 Contains a full line for each day of the month. 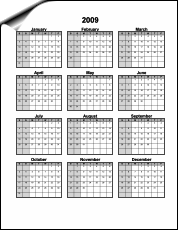 A blank yearly calendar containing room to note your important events. 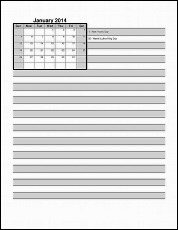 Each day contains just enough room for your notations. 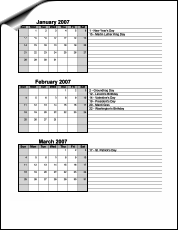 Room for plenty of notes alongside a single month. 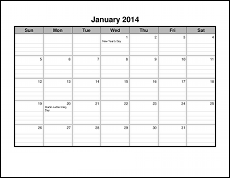 Plan all your Saturdays, Sundays, or any other day for an entire year. 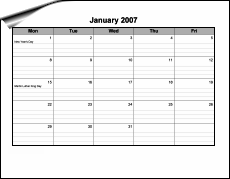 The day of the week is based on the calendar date you select. 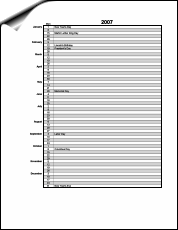 A standard Mon-Fri monthly calendar with lined boxes to store your notes. 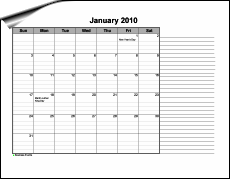 A Mon-Fri monthly calendar with lined boxes to store your notes. 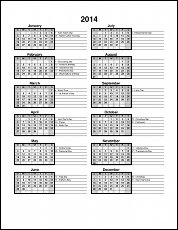 The most room for each day.